파트타임스위트가 만든 50여분의 음악을 기반으로 다섯 명의 작가가 유동적으로 개입한 다섯 개의 영상. 매혹적으로 물화된 도시, 소비만으로 추동되는 삶의 유형에서 느낄 수 있는 선정성과 감춰진 도시의 이미지가 서로 다른 스크린을 통해 하나의 무대 위에서 동시 상영된다. 참여작가들은 음악과 작업의 모티프만을 공유한 후, 각자의 타임라인을 갖는 독립된 개별작품들을 각자 제작했다. 동시상영이 갖게 되는 어쩔수없는 집중도의 저하, 영상들간의 간섭과 방해에 따른 산만함, 각 영상들이 개별성을 다소 포기하고 만들어내는 생소한 충돌, 각자가 선택한 이미지들이 마술처럼 엮이며 구성되는 빛나는 순간은 이번 상영회의 묘미일 것이다. 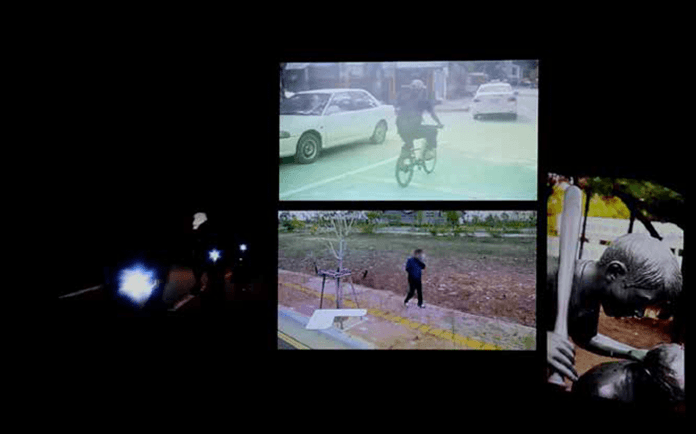 Five video clips created by five artists flexibly intervene during the length of a 50-minute music track by Part-time Suite. 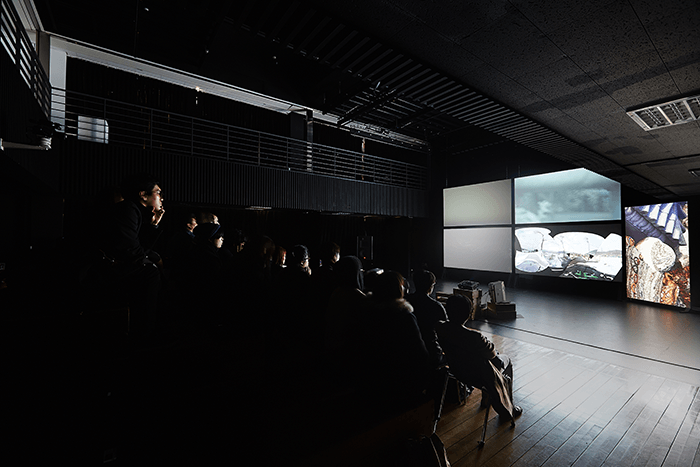 Displaying cities that are fascinatingly reified, the sensationalism aroused by a lifestyle that is propelled only by consumption, and the hidden images of cityscape, the videos are screened all at the same time on different screens on a single stage. 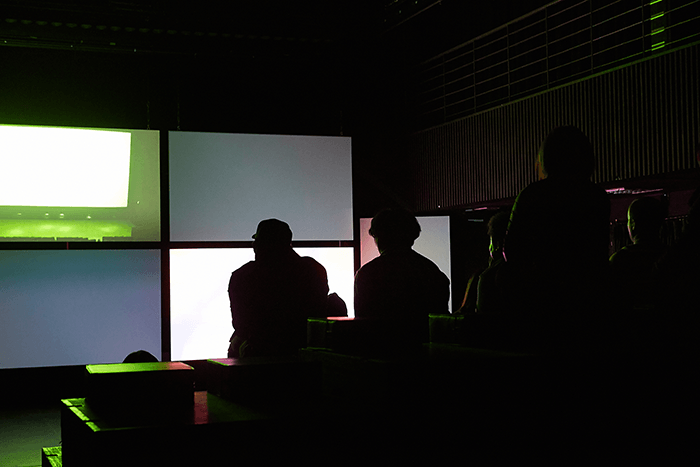 The participating artists shared only the music and the theme of the project before they each produced independent works that each have their own timelines. 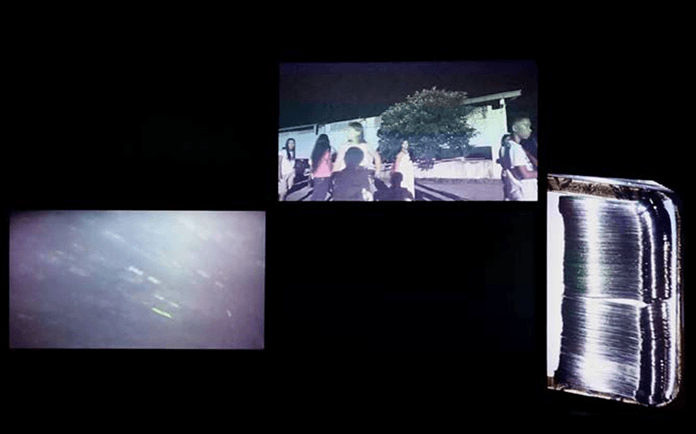 The project's simultaneous screening inevitably causes distraction, the videos interfering with and interrupting each other. 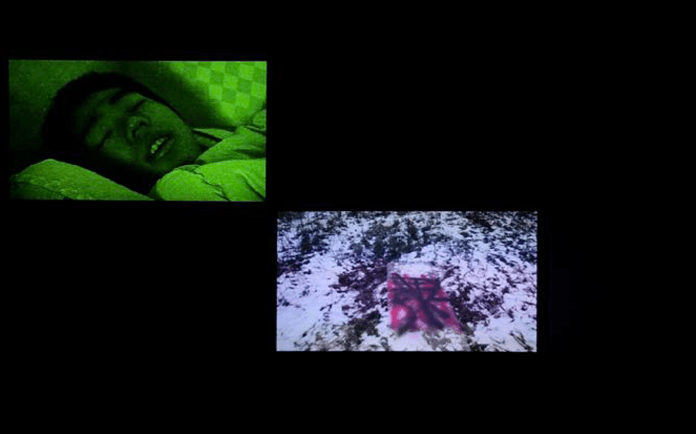 Amid unfamiliar conflicts between the clips that waived their own individuality to some degree, however, the audience is invited to enjoy the fleeting moments of shining epiphany created from the magical constellation of images chosen by themselves.